As I mentioned the other day, I don’t often talk about my faith on this blog. I don’t intentionally shy from it, but it’s not exactly a topic of conversation when you’re discussing running, lifting weights, cooking, or bird-watching. However, today is Easter Sunday, so I will post a thought or two on the holiday from a Christ-follower perspective. I prefer the term Christ-follower as opposed to Christian. I find that society today has placed enough unrelated connotations on the term “Christian” that it has lost its meaning. As with all things in society, he who controls the language controls the thought. Ergo, when we started attending our church a number of years ago, and they termed themselves Christ-followers instead of Christians, I liked it and have liked it ever since. I digress. As most people are at least aware, Easter is the celebration of the resurrection of Jesus Christ. We believe that Christ was killed by the Romans and that He actually, factually died. Dead as a doornail. Buried. Cell activity ceased. Brainwaves vanished. He was gone. (The Romans did a lot of things well: roads, aqueducts, gladiatorial combat, and death by torture.) This occurred on a Friday. On the following Sunday, He came back to life. Activity began flowing throughout His body. His organs returned to functioning. His brain came back. He came back to life. And a lot of people saw Him. I know. It’s pretty odd when you think of it that way. We’ve got no frame of reference for it. Yes, there were some non-corporeal things that occurred during His time on the “other side”, including a conquering of the devil and atonement for every sinner who would place their trust in Him. But the resurrection itself, from a scientific standpoint, is something entirely of this earth. And as far as we know, He is the only person every to manage to do this after being that truly dead. Death is otherwise pretty good at catching up to us all at one point or another. So how can I, as an intelligent, thinking, naturally-skeptical person, choose to believe in something that only one man has ever managed to do? Something that has no other basis in scientific fact and has never occurred in the rest of recorded history. Well, let me put it this way. I may be a fool. I choose to believe what I choose to believe. I don’t ask you to believe what I believe, and I would never force you to accept my beliefs, either. However, hear me out on this for a few quick thoughts. We know that there was a man named Jesus of Nazareth, right? I mean, aside from the Judeo-Christian Bible, there are countless records of a man named Jesus of Nazareth who wandered through ancient Israel as a teacher. I don’t know of anyone, atheist or otherwise, who refuses to believe that this man existed. So we accept this to be true. This man, divine or otherwise, existed. We know His followers believed in His resurrection. Paul, the man who would become the first large-scale (and arguably, the most successful ever) missionary for Christ, mentions the resurrection in many of his letters. They write of it as an actual, earthly resurrection; not as some spiritual or meta-physical or theological analogy, but the actual resurrection. They specifically chose words in ancient Greek and Latin that did not mean spiritual resurrection, etc… And these people DIED for believing as such. I’m not talking about later generations who were martyred for their faith. I mean people who supposedly witnessed Christ upon His resurrection actually went to their own deaths professing that He rose. Roman historical accounts mention this. Greek historians mention this. His contemporaries, his disciples, were persecuted by their own neighbors for this belief. They believed it. We know that something occurred that created an entirely new worldview at this time. Never before had a cult, religion or other teaching/following gained such a faithful following so quickly. This event turned everything these people knew about “religion” on its ear. Think of the world in the Middle East at this time: a region where Judaism met Roman deities who met Greek deities who met Pharaohs… Everyone, everywhere had some form of worship involving sacrifices, temples and rituals. Suddenly, whatever this event was, it occured. Now, there was an ever-increasing number of people who claim there were no sacrifices required to atone for sins, you didn’t have to go to a temple to worship, and the only ritual you have to follow is professing your faith. (Remember, this is before the Church got involved and added now-traditional rituals). I’m sure there had been other radical teachers who had their own followers. Some of them may have even inspired a movement or two amongst their flock. But nothing, NOTHING, came close to being as mind-bogglingly impactful as whatever this event was. Whatever it was, it had a huge impact on the lives of people who were there. To distill this down, here’s essentially what I am saying: What we know, empirically, is that something amazingly impactful happened around the time of the end of the life of a man called Jesus of Nazareth, and those closest to him say that they saw him come back from the dead. Tell me, is it really that hard to believe that, skepticism aside, this could have occurred, based on those three facts alone? I’m not saying 100%, without-a-doubt, bet-the-farm believe. I’m saying believe that it could have. Yes, no one has ever seen this happen since. Guess what, no one alive today has ever seen a dodo bird. We have historical accounts that they existed. We have evidence from eyewitnesses that saw them. We have stories. But no one today has ever seen one. Doesn’t mean they didn’t exist. The belief that it could have occurred is an essential building block for learning more about Jesus. It’s the starting point. Besides, whether you believe in the resurrection of Christ or not, it has almost nothing to do with the faith for Christ-followers everywhere. That it is possible, based upon historical accounts, that He actually came back to life is one thing. 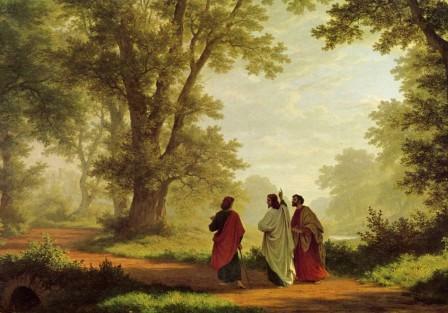 What matters in the hearts of Christ-followers is not what occurred on that Sunday, but rather why He died on Friday. I’m not here to convince you to believe one way or another. I’m simply stating my case for why I, after all I’ve seen, have chosen to believe that there is a chance this actually occurred. And because it may have occurred, and based upon the rest of His teachings and what scripture said would occur, I have placed my faith in Christ. But that’s not the point I am getting at…I’m simply saying that, on the balance of a scale where could have is on one side and couldn’t have is on the other, the scales seem to be tipped towards could have. It was enough to inspire an insurrection against the religions of the time that became the most influential movement and belief system in the world. And it’s enough for me. As always: This is simply my journal as I try to better myself. I hope it inspires you to focus on yourself. Make 2013 YOUR year. “It will not do … to say that Jesus’ disciples were so stunned and shocked by his death, so unable to come to terms with it, that they projected their shattered hopes onto the screen of fantasy and invented the idea of Jesus’ ‘resurrection’ as a way of coping with a cruelly broken dream. That has an initial apparent psychological plausibility, but it won’t work as serious first-century history. We know of lots of other messianic and similar movements in the Jewish world roughly contemporary with Jesus. In many cases the leader died a violent death at the hands of the authorities. In not one single case do we hear the slightest mention of the disappointed followers claiming that their hero had been raised from the dead. They knew better. ‘Resurrection’ was not a private event. It involved human bodies. 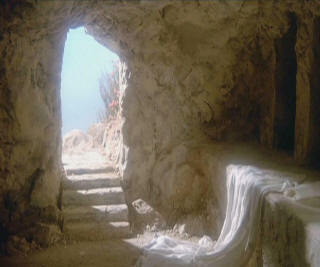 There would have to be an empty tomb somewhere. A Jewish revolutionary whose leader had been executed by the authorities, and who managed to escape arrest himself, had two options: give up the revolution, or find another leader. We have evidence of people doing both. Today marks day two of this journey. Compared to yesterday’s “fun”, it was extremely benign. In addition to working out – again, a goal I intend to do every day – I began my running with a half mile on the treadmill. Began it with an 8-minute mile pace, barefoot. Yes, you read that right: barefoot. Methinks I shall have shin splints tomorrow. I also began prepping for another of the 12 “skills” I want to acquire: bird watching. I bought the Audubon Society Guide to North American Birds to complement the Backyard Birder’s Bible we received for Christmas. We have three small feeders off the back patio, and currently get visits from a half dozen different types of birds…I want to know what they are. Finally, I’m nearly finished with the first of the 24 books I will read this year. 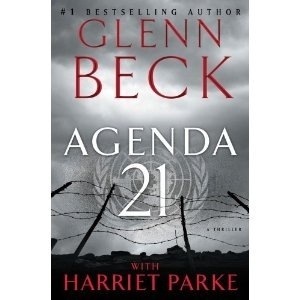 I kicked off the year with a quick little fiction book from Glenn Beck entitled Agenda 21. (Don’t worry, I’m not going to read only right wing literature). An easy read, it appealed to me because I enjoy dystopic future and/or apocalyptic tales. If you can’t stand Beck’s politics, you probably won’t care at all about this one. If you don’t mind his politics, think of it as a cross between The Hunger Games and 1984. Easy to read like Hunger with a young female protagonist, oppressive all-seeing tyrannical state like 84, it’s clearly written as an introduction to what will be more stories in the series. 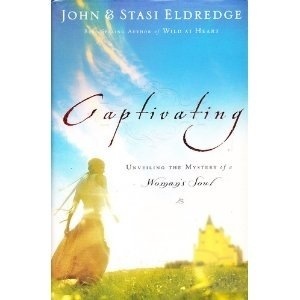 Next up on the book list is one from my non-fiction list: Captivating by John and Stasi Eldredge. The subtitle is “Unveiling the mystery of a Woman’s soul”. Apropos, considering I’m married to a woman and trying hard to raise two little ladies.